Scooper - Technology News: The digital economy: what is it and how will it transform our lives? Reduced fuel emissions from more efficient cars, using mobile data to track malaria and even farming that remains one step ahead of climate change. The digital economy is already having a massive impact on society, and there is more to come, says Victoria A. Espinel, President and CEO, BSA, The Software Alliance and co-chair of the Global Future Council on the Digital Economy and Society. 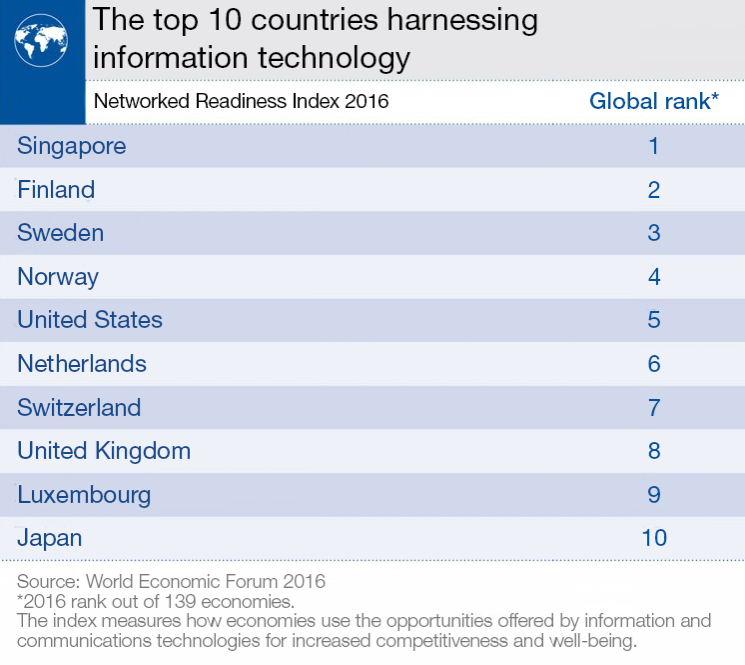 Why is a focus on the digital economy and society important? How will affect people in their daily lives? The digital economy permeates all aspects of society, including the way people interact, the economic landscape, the skills needed to get a good job, and even political decision-making. Our emerging digital economy has the potential to generate new scientific research and breakthroughs, fueling job opportunities, economic growth, and improving how people live their lives. These changes are happening all around us. In Kenya, mobile data is being used to identify malaria infection patterns and identify hotspots that guide government eradication efforts. Vehicle sensor data from delivery trucks, combined from mapping data analytics, has enabled companies to save millions of gallons of fuel and reduce emissions by the equivalent of taking thousands of cars off the road for a year. Farmers from Iowa to India are using data from seeds, satellites, and sensors to make better decisions about what to grow and how to adapt to changing climates. What key trends will we be seeing in the digital economy? Which issues are most crucial to address? The ways in which people connect with others, with information, and with the world is being transformed through a combination of technologies. These technologies will help us solve increasingly sophisticated problems, while big data will assist us in complex decision-making. This is the Fourth Industrial Revolution, and it’s going to have a massive impact on the economy as well. Already we’re seeing the rise of the sharing economy, blockchain technology, and changes in manufacturing driven by 3D- and 4D-printing. The sharing economy is a model in which people and organizations connect online to share goods and services. It is also known as collaborative consumption or peer-to-peer exchange. Two of the best-known examples of the sharing economy are Uber (transportation) and Airbnb (housing). Blockchain is a digital “ledger” technology that allows for keeping track of transactions in a distributed and trusted fashion. It replaces the need for third-party institutions to provide trust for financial, contract, and voting activities. Bitcoin and other digital currencies are some of the most well-known examples of applications of blockchain technology. What is the council focusing on to tackle the issues of the digital economy? What else needs to be done? We’re beginning to see how this revolution is transforming society. But other potential gains are only now coming into view. Take government: agile governance, an innovative model of government inspired by the software industry, could redefine the relationship between governments and their citizens. By making government more flexible and nimble, we can increase government efficiency, improve government programmes, and encourage a more empowered and engaged citizenry. This council will have the opportunity to shape this notion of agile governance as well as to examine the impact that the digital economy will have on our jobs, our incomes, and our lives in general. Where do you think we’ll be by 2030 on these issues? It’s hard to predict the speed of these changes, but we know that our evolving digital economy will necessitate enhanced focus on trust, privacy, and transparency. As people continue to share, collaborate, and interact online, these issues will continue to intensify. The world will function quite differently 15 years from now, and likely even sooner. Everyone will feel the impact of these individual, organizational, governmental, and societal adjustments. The potential for democratization and transparency is incredible, and I’m very excited to see what advancements the future brings. Is there anything you would like to see happen by 2030? As humans, we understand our world and experiences using just five senses. Soon, connected devices around the planet will sense a whole range of features about the world to help us better understand and improve the world around us. Our ability to leverage this wealth of data will determine how much we can accomplish in the years ahead. We also face the challenge of ensuring that everyone can access the benefits of our digital society. In 2030, I’d like to see everyone have regular access to the internet; more governments and corporations applying agile governance principles to their systems; more food security and less hunger due to improved agricultural production; and a dramatic decrease in disease in the developing world, enabled by new technologies.